At Magic Market Week in Las Vegas, American Express Open, a division of American Express Co., devised a unique way to attract the 80,000 designers, buyers, and retailers in attendance. 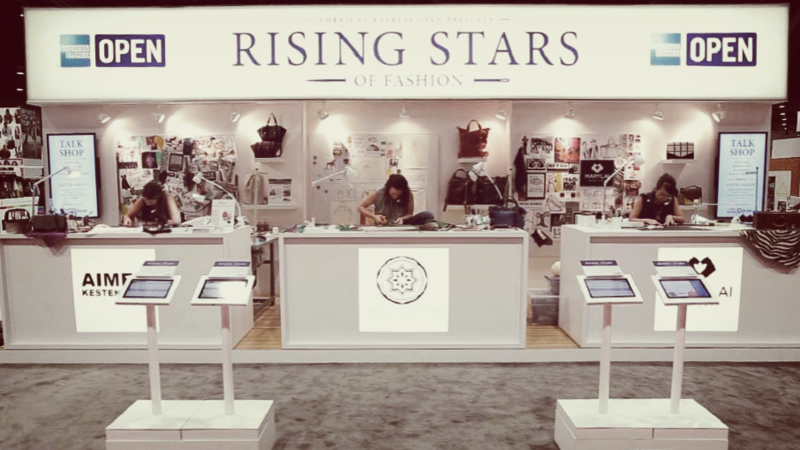 It staged an in-booth competition called The Rising Stars of Fashion that pitted three up-and-coming designers against one another. The task? Design and fabricate a real handbag from initial sketch to final product in just three days, and within the confines of the American Express Open booth. Split into three mini studios, the exhibit was outfitted with all the supplies the designers needed. The ongoing competition kept curious attendees coming back to check on the progress of the designers, and each time they stopped by, booth staffers were on hand to chat about the contest and answer questions about American Express Open. Though the challenge ended on the last day of the show when a panel of judges from the fashion industry declared the winner, the creative traffic builder will no doubt stay top of mind for attendees.